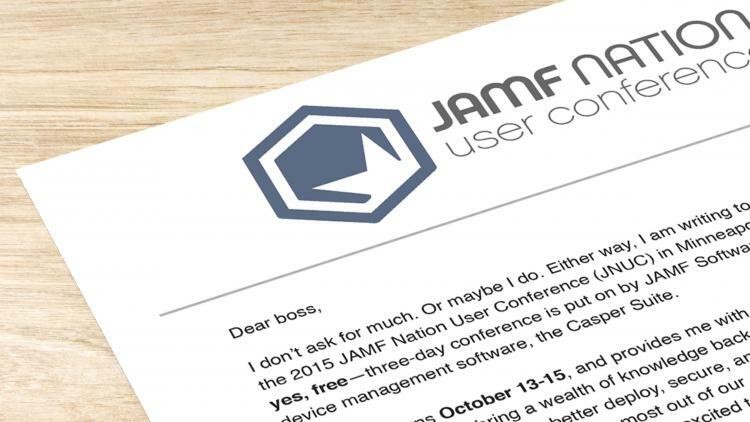 So you want to attend the 2015 JAMF Nation User Conference (JNUC)? We are thrilled to hear that, and we don’t blame you. This is a great opportunity for you to meet like-minded IT pros and talk Apple with those who know it best. But sometimes attending these types of events—especially during the work week—aren’t completely up to you. If you have a skeptical supervisor to convince, here are five things you can say to help win their approval. 1. We purchased a best-of-breed tool to manage our Apple devices, shouldn’t we get the most out of it? With over 1,000 Apple administrators all in one place, there is no better opportunity to speak with—and learn from—those that are in the trenches using the Casper Suite every day. There are a million valuable things we can do with this smart tool — this is the best way to learn more ways we can use it. 2. The JNUC is completely free to register. You heard me — zilch! No other IT conference in the world can provide a better ROI. 3. New ideas and practical workflows are ripe for the picking. With JNUC attendees coming from all different environments, there’s no limit to what I’ll learn. From large iPad rollouts to managing Mac in a Windows world to preparing for upcoming OS upgrades, the JNUC is the ideal location to learn the tricks of the trade and prepare our organization for the future. 4. I will gain the knowledge and expertise to become a better IT admin. Nothing is better than experiencing the workshops, labs, and huge concentration of geek vibe to help me hone my skills and increase the value of IT in our organization. 5. I can get all our toughest Apple questions answered in one fell swoop. With the brightest Apple IT minds all in one location—did I mention it’s the largest gathering of Apple IT in the world?—this is THE conference to have Apple questions answered. Those scripts we were curious about, deployments that we weren’t sure on, security concerns we have — the JNUC can help us. Not much of a talker and want to take the quicker route? Simply print this letter, sign your name, and hand it over. For more information on the 2015 JNUC, go here.